Digital business yields itself naturally to contract employment…. Digital business yields itself naturally to contract employment. 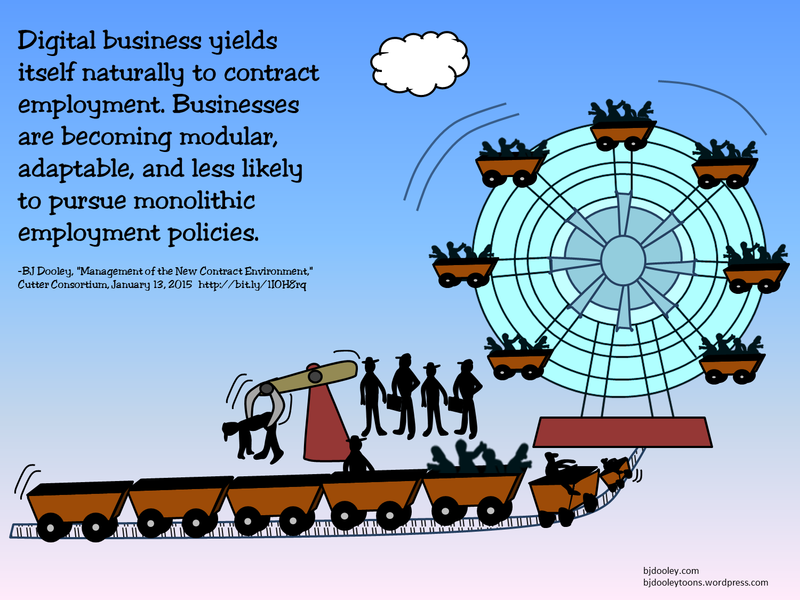 Businesses are becoming modular, adaptable, and less likely to pursue monolithic employment policies.